An informal EU summit in Brussels ended last night with EC President Herman Van Rompuy making clear he wanted Greece to stay in the eurozone. No surprise there – the European markets are in desperate need of reassurance that there won’t be a rushed exit from the currency by Greece, which could lead to a ‘disorderly' collapse of the Euro and a spreading ‘contagion’, as David Cameron put it. The PM, however, will have more pressing matters on his mind today, namely the latest statistics from the Office for National Statistics which show that the UK economy shrank by 0.3% in the first three months of the year, instead of an estimated 0.2%. Clearly this is bad news. It means that the UK economy is actually smaller than it was a year ago, and that our double-dip recession is deeper than feared. 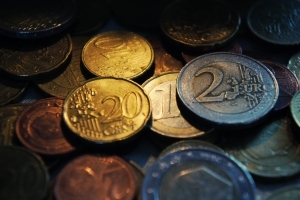 If Greece left the euro, it would compound our already considerable problems. Just the fear of this happening was enough for the FTSE 100 to close 2.5% down yesterday, wiping billion pounds from the value of companies. But forget the secateurs; the Greek government has already put a chainsaw to its public spending, and Van Rompuy wants more (it’s what he means by the Greeks sticking to their ‘commitments’). German chancellor Angela Merkel is continuing to advocate austerity measures to get Europe out of its debt crisis, but new French president Francois Hollande is pushing for stronger action to encourage growth. A division at the top of the EU is the last thing it needs, so David Cameron was eager to emphasise the agreements that EU leaders made yesterday: ‘There was complete agreement that dealing with deficits and getting growth are not alternatives, they go together’. Ultimately however, staying in the euro or abandoning it is the Greek people’s prerogative. We’ll have to wait for their elections next month to find out what will happen.